ITER's new internal auditor Friedrich Lincke goes where his expertise is needed to make a difference. Armed with valuable experience from many years of service in large national and international settings, he wants to be a partner in improving work processes at ITER. 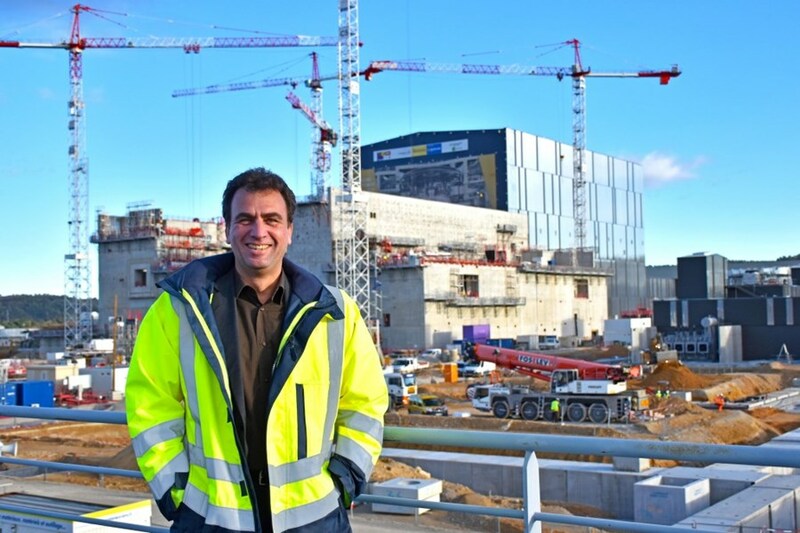 As the ITER internal auditor since September 2018, Friedrich Lincke wants to partner up with managers and staff alike to help make work processes more efficient and effective. Although the role of an internal auditor is often associated with compliance and respect for rules, it is first and foremost about assessing the performance of business operations and management systems. "The auditor's job is not about checking on people—it's about improving the efficiency and effectiveness of work processes," Lincke explains and adds: "It's very much a forward-looking activity." He strives to understand the root causes of problems and their implications in order to identify a way to resolve them. Risk assessment is a key driver of Lincke's activities, which cover core corporate functions such as finance, procurement, contract management, human resources and IT. This provides the basis to identify priority areas for review and contributes to the design of mitigation measures to bring risk down to an acceptable level. "Risk needs to be managed purposefully," Lincke says. "There is no zero risk—if you want zero risk you might as well stay at home." Lincke sees his role as helping ITER to realize its mission. Being on the inside of the ITER Organization—yet independent in his role as internal auditor—he will focus on identifying areas where his expertise is really needed. "An audit is a genuine opportunity for a manager, as it helps to identify problems and provide solutions using communication channels outside usual reporting lines," he explains. According to Lincke, the auditor should be a partner to managers and staff alike, as successful changes and adaptions require the buy-in of everyone involved. During his first four months at ITER Lincke has already acted on his strong belief in cooperation: "We don't have recommendations anymore; we now have agreed actions." This inclusive approach ensures that risk mitigation measures will be long lasting and enjoy the support of colleagues. Diving in at the deep end immediately after his studies in business administration at the Technical University in Berlin, Germany, Lincke took up his first job in 1995 at the governmental agency responsible for transitioning East Germany's centrally planned economy to a market economy, a transition affecting some 8,500 companies and four million employees. After a stint of several years in the private sector focusing on corporate restructuring and strategic consulting, he followed in the footsteps of his father and grandfather and entered the international arena by joining the United Nation's Food and Agriculture Organization (FAO). He worked as a regional auditor in Santiago de Chile and later as the Rome-based manager for the decentralized audit activities of the FAO. Having spent his childhood and youth in the US, India, the UK and Chile, Lincke is no stranger to an international setting and cultural diversity. He enjoys both consultancy-type audit work and the diplomatic approach of an international organization. His career has taken him to over 40 countries all over the globe, equipping him with insights and experiences he is ready to share through his important job at ITER.